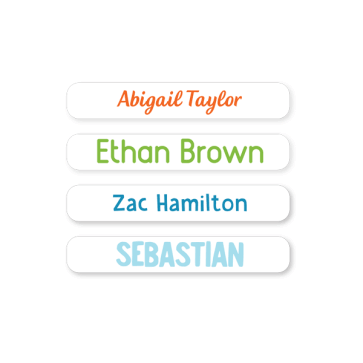 Stick On Name Labels provide easy personalised identification! No sewing or ironing required! These Mini Labels are the perfect size for small items (e.g. pens), as well as for older kids and adults who favour a more subtle label. Perfect for small items like pens and pencils. 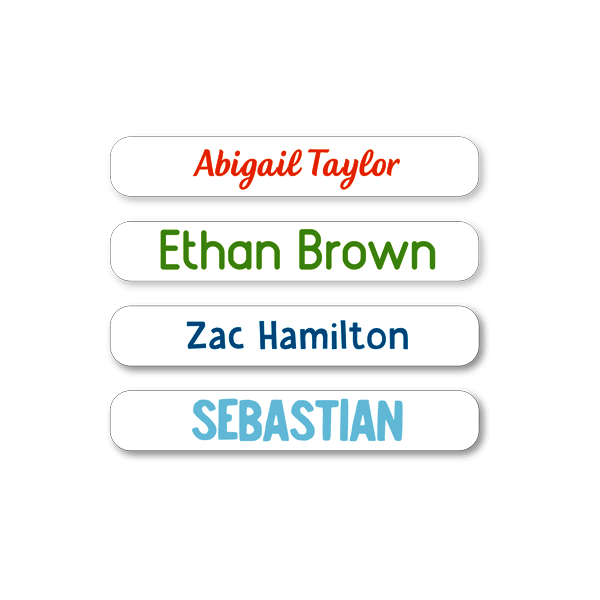 Best quality labels I have purchased! Easy to order. Great quality!